Do you Know the Value of a DUNS Number? Use the DUNS Number to Maintain, Improve or Suppress Business Data on an ongoing basis. Don’t let your database grow stale and useless. A DUNS Number is one of the most valuable and important additions to any business database. As a single data element, it has the power to cleanse, verify, and update a business record. Records that include a DUNS Number are significantly easier to maintain than records without them. 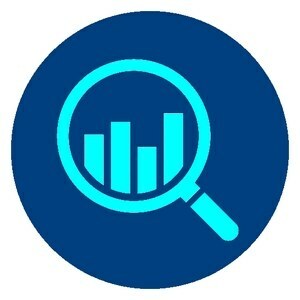 Appending DUNS numbers to your database allows you to accurately update and maintain those files on an ongoing basis, as well as unlock powerful firmographic data you may not have the resources to gather on your own. DUNS are just one of many Firmographic Data Elements we can add to your Customer Files. The Data Universal Numbering System or “D-U-N-S® Number” is D&B’s proprietary means of identifying business entities on a location-specific basis. This unique Nine-Digit Identification Number has been assigned to over 100 Million Businesses Worldwide. 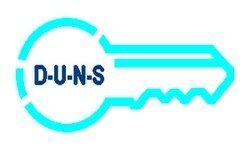 The DUNS Number “unlocks” a wealth of value-added data associated with that entity, including the business name, physical and mailing addresses, tradestyles (“doing business as”), principal names, financial, payment experiences, industry classifications (SICs and NAICS), socioeconomic status, government data and more. The DUNS Number also links members of Corporate Family Trees worldwide. It is widely used by both commercial and federal entities, (most active businesses have DUNS Numbers,) and was incorporated into the Federal Acquisition Regulation (FAR) in April, 1998 as the Federal Government’s contractor identification code for all procurement-related activities. Missing Firmographic Data for DUNS Numbers You’ve Already Collected? With a Reverse DUNS Append, NAICS Association can add any of four valuable Standard Record Layouts to Your Prospect File, or countless other Firmographic Data Elements. Complete Below Form to Receive a Price Quote or Call (973) 625-5626.